It looks like Samsung is about to launch yet another smartphone and it's not the highly-anticipated Galaxy Note 8. A “lite” version of the Galaxy S8 could make its debut on the market by the end of the month, although it's not yet clear what name Samsung will use for the unannounced handset. The phone was recently spotted at Geekbench, a benchmark that gathers data from all tested devices and stores it in its own database. Samsung SM-G9600 might be the Galaxy S8 Lite or Mini, the name is not that important right now. What's really special about this device is the fact that it will pack Qualcomm's Snapdragon 840 chipset. 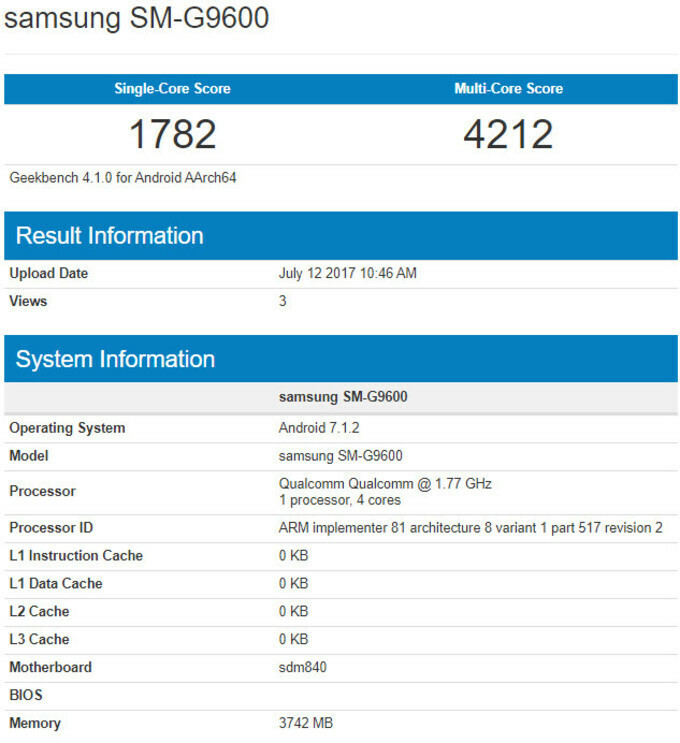 According to the listing at Geekbench, the SM-G9600 is equipped with a quad-core chip that accommodates four cores clocked at 1.77GHz. Moreover, the motherboard of the phone is codenamed sdm840, which is why we believe there's a high chance the SM-G9600 will be powered by a Snapdragon 840 processor. The latter could be a slightly tweaked version of the Snapdragon 820 quad-core CPU, but with better GPU and modem. Aside from the Snapdragon 840 CPU, Samsung's unannounced smartphone packs 4GB RAM and runs Android 7.1.2 Nougat. We have yet to learn anything about the handset's display and camera, but more info might emerge in the coming days. That is so messed up. How come the SD840 is weaker than the SD835? Qualcomm, Samsung, you guys need to get your acts right. Exactly, it didn't make any sense. For the record, Mini variant of any Galaxy S appears to have weaker spec than the bigger one. And WT... with Qualcomm and their naming strategy. If this Cpu is just a slightly tweak of 820/21 with a little higher core clock and better gpu , why didn't they named its 825 or 830 like what they did with 801/805?. facepalm. Yup this happens all the time on Geekbench, this is the sort of quality news you get on PA. I really do wish they would stop using Snapdragon and just make all variants Exynos, as Exynos is always a lot more powerful and efficient. Exynos' GPU isn't as powerful. Bad fake! 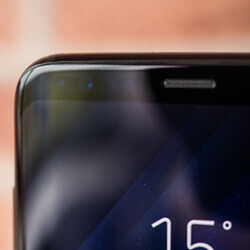 All Note series model names start with N and not G. G is Galaxy serie. Yay, G is galaxy serie!!!!!!!!!!!!! WOw So fUn right my BfF?